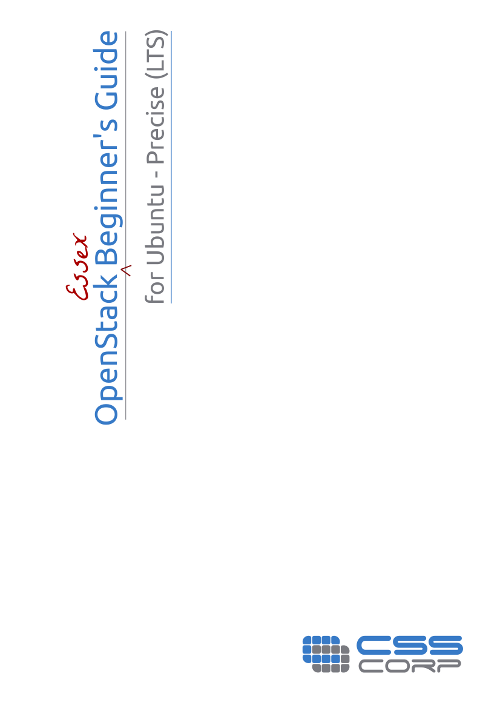 OpenStack Beginner’s Guide V3.0 for Essex on Ubuntu 12.04 (Precise Pangolin) is now available as a pdf file. We would like to thank all the people who have directly or indirectly helped us in bringing out this guide. Please have a look at it and let us know if you have any comments/suggestions/feedback. We will do our best to enhance the guide based on your suggestions. Keystone – OpenStack Identity Service. Keystone integration with nova, glance and swift. Image bundling procedure for Redhat, CentOS, OpenSuse and Debian. Replacement of euca-* commands with nova and glance commands.